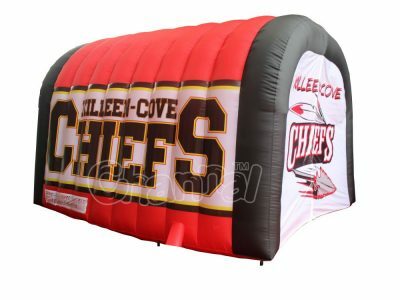 Inflatable football tunnel is an large air structure as a passage tent for football teams’ players’ introductions and presentations at the very beginning of football match. 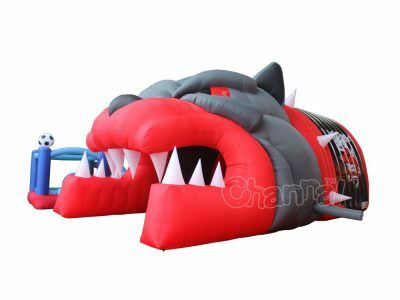 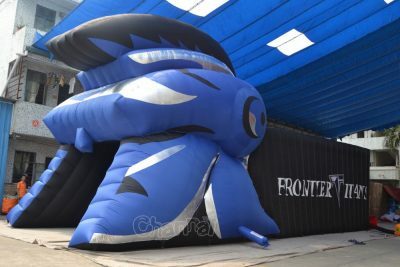 The inflatable sports team tunnel is always designed as team’s mascot and symbol, such as helmet, panther, eagle, bulldog, bull, knight etc. 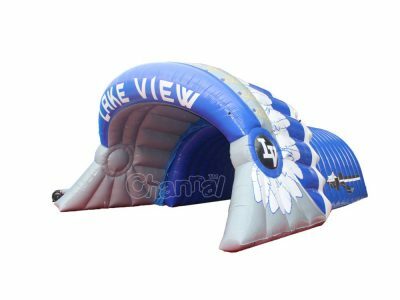 A good run through entrance tunnel is extremely important for football teams, players and their fans to show their team spirit and vigor. 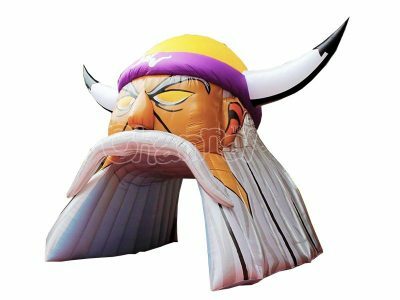 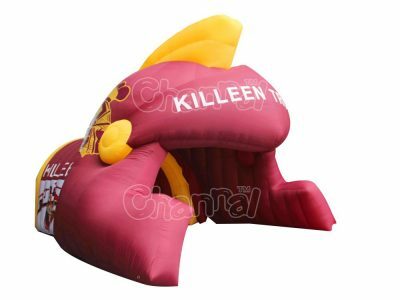 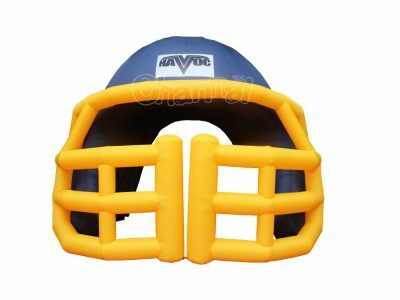 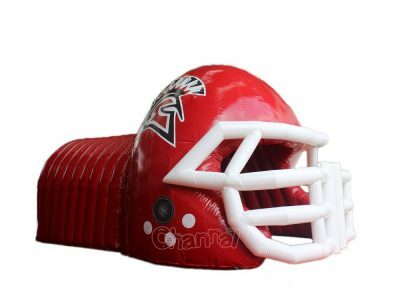 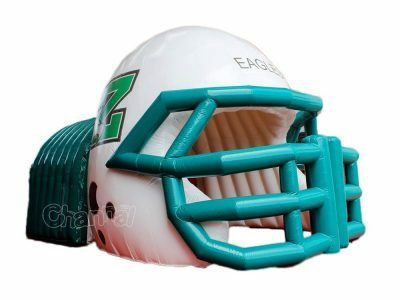 Channal Inflatables is a professional inflatable football helmet tunnel manufacturer in China. 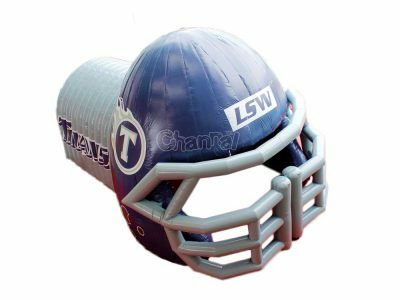 We’ve successfully made dozens of inflatable helmet tunnels for American high school and college football teams. 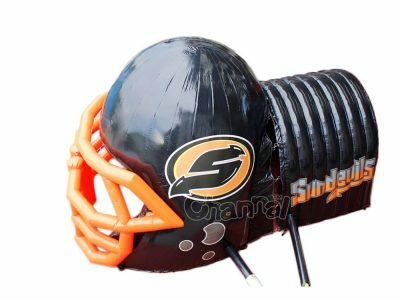 We offer best quality custom football tunnels for sale. 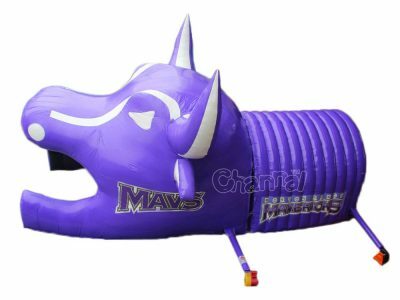 We can design and print your team’s mascot and logo.